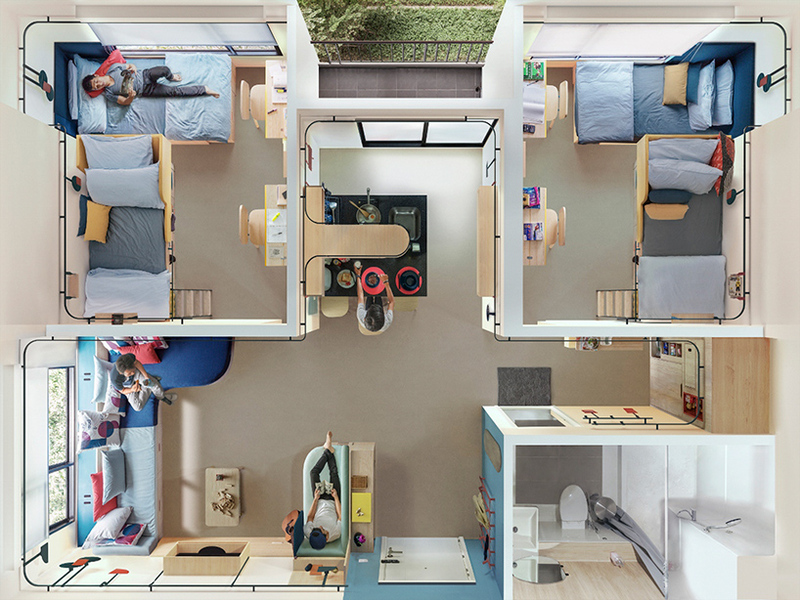 fabrica is a communication research center. it is based in treviso, italy, and is an integral part of the benetton group. 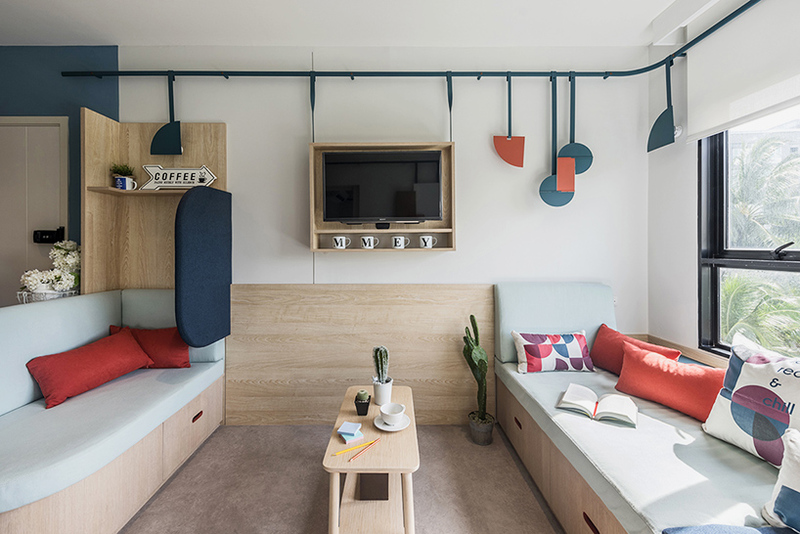 established in 1994 from a vision of luciano benetton, fabrica offers young people from around the world a one-year scholarship, accommodation and a round-trip ticket to italy, enabling a highly diverse group of researchers. 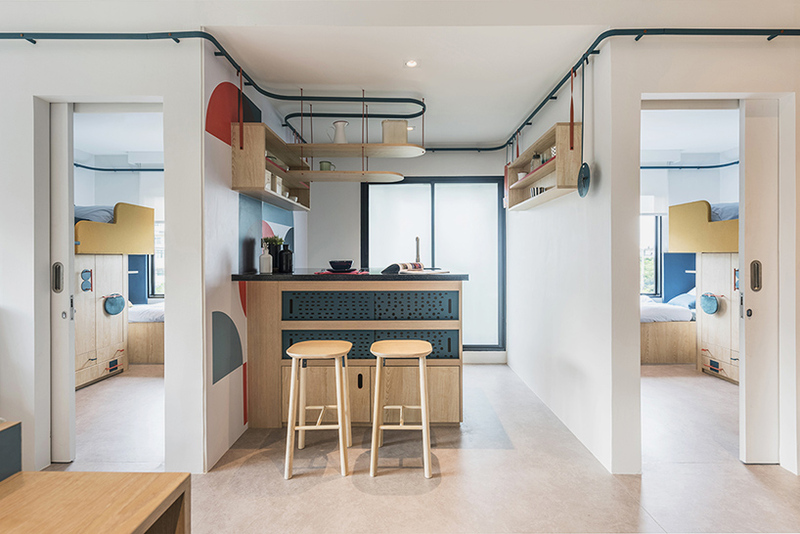 fabrica — the communication research centre based in treviso, italy — has conceived a co-living space in bangkok that seeks to create a place for both shared and private experiences. 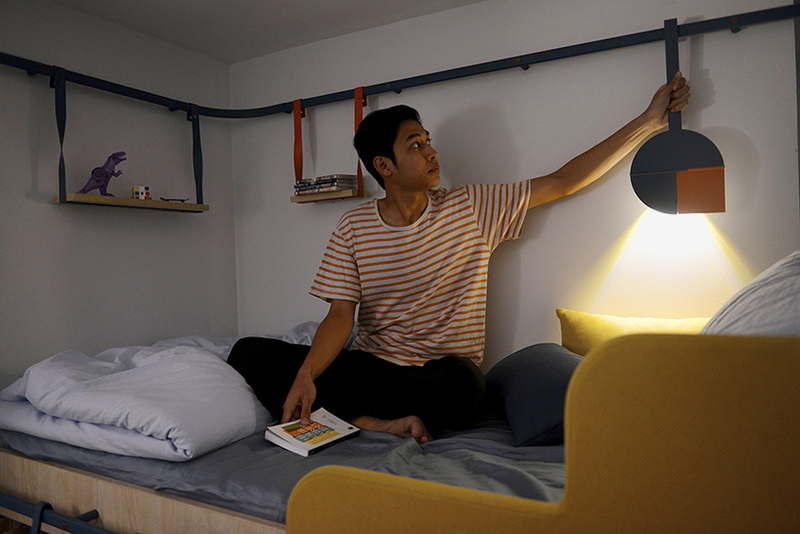 seven students facing financial difficulties — both male and female and from a range of backgrounds and cultures — have been offered ‘space scholarship’ as a place to live and work, fostering communication and human relationships. 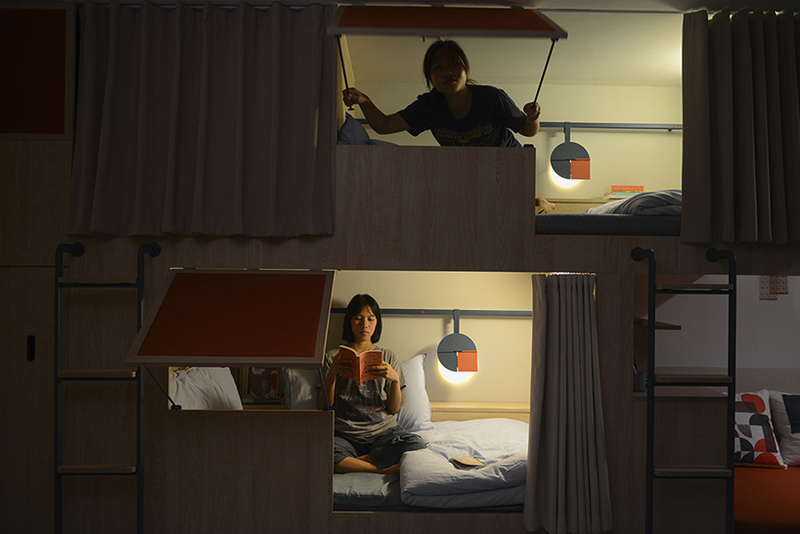 the design seeks to offer the students a sense of responsibility, independence, and the feeling of being ‘home’. 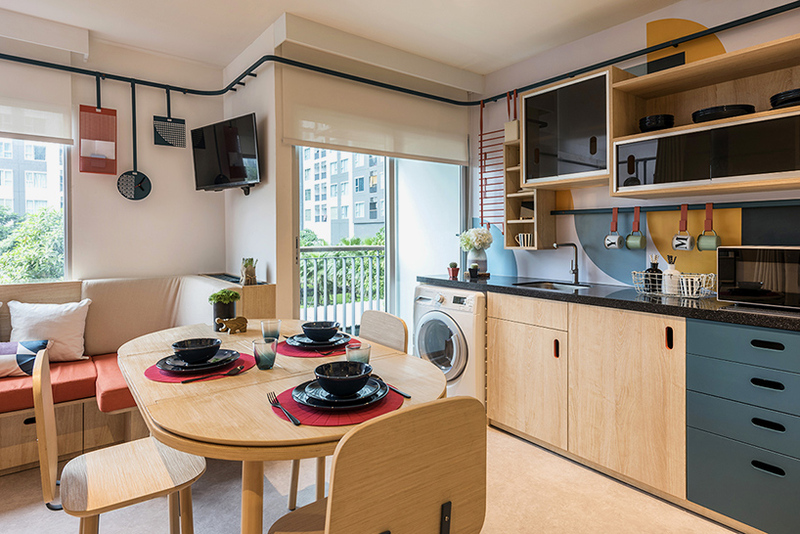 ‘space scholarship’ forms part of a corporate social responsibility initiative by AP public company limited, a leading property developer in thailand, who commissioned fabrica to design the interior scheme of a few condominium units in bangkok. 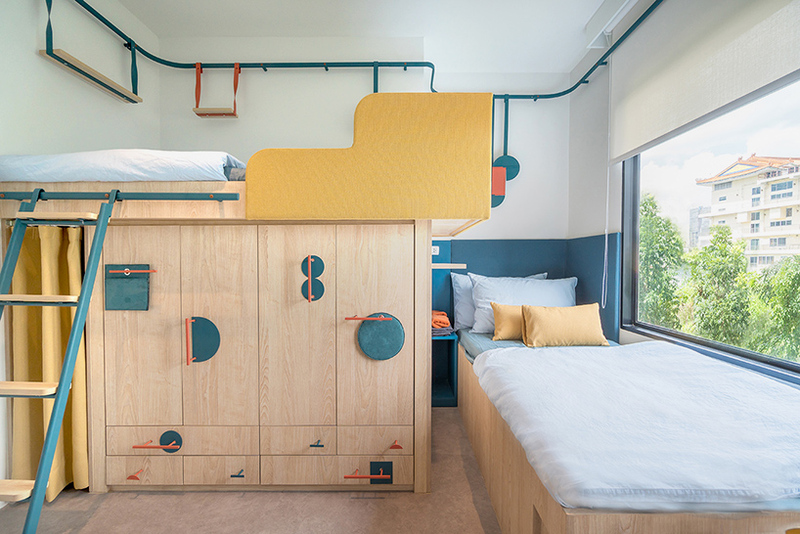 fabrica engaged in extensive research about the philosophy of co-living, and decided to reflect the idea of ‘social overlapping’ through a range of scales, details, materials and colors. flexibility and functionality also mark significant aspects of the design thinking overall. 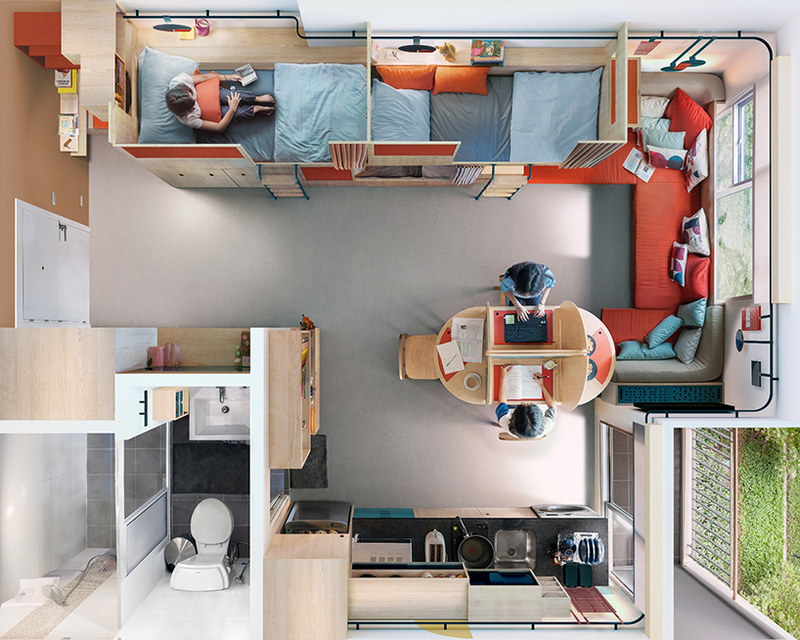 the apartment interiors are designed with a dual purpose: they can be open or closed, depending on whether students’ want to eat together, chat, or study in privacy. 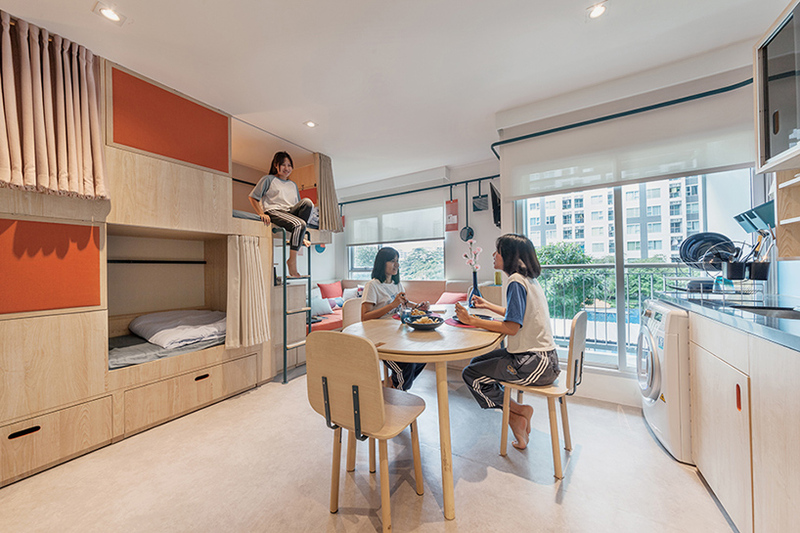 an efficient use of space, hidden storage systems, movable and adaptable elements, and practical furniture help the students maintain an organized apartment. 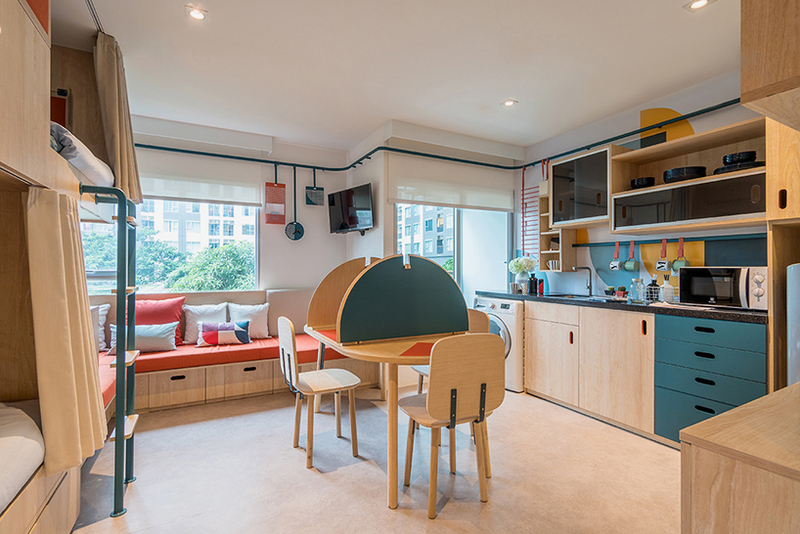 by utilizing aspects of multi-purpose, modular elements, the small area is maximized without a loss of space. 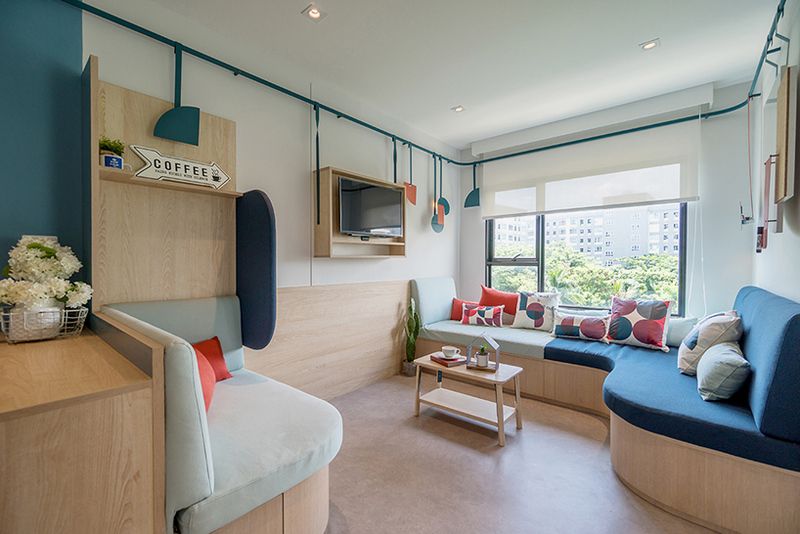 ‘space scholarship’ forms part of a corporate social responsibility initiative by AP public company limited, a leading property developer in thailand, who commissioned fabrica to design the interior scheme of a few condominium units in bangkok.
. flexibility and functionality also mark significant aspects of the design thinking overall.